Available in 10" / 12" / 15" / 18"
Subwoofers built per request, made for a specific purpose. XN (Neodymium) is handmade in Scandinavia in variety of configurations. Direct leads, push terminals or a configuration of both is possible, only your imagination sets the limits. We can supply handmade carbonfiber cones in various designs, or semi or non pressed paper cones blended with carbonfiber to fullfil your desire. 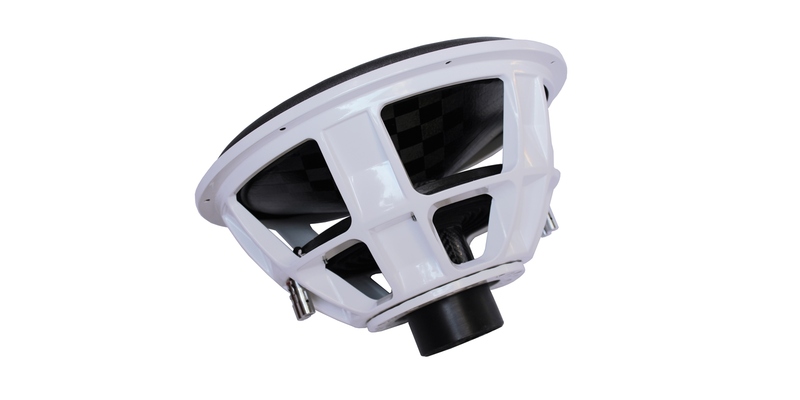 With tested power ranges from 3 Kw to 20 Kw (26.8 bph) in burst power, the stout 3″ 8 layer aluminum coil with a titanium bobbin will work flawlessly in the configuration of prime Nomex spiders. XN is for those who wants something unique as a signature series, truly Sweet Like Danish. The parameters below are based on a light spl setup. As the XN is all custom made, the specs below are only to be used as a guideline. 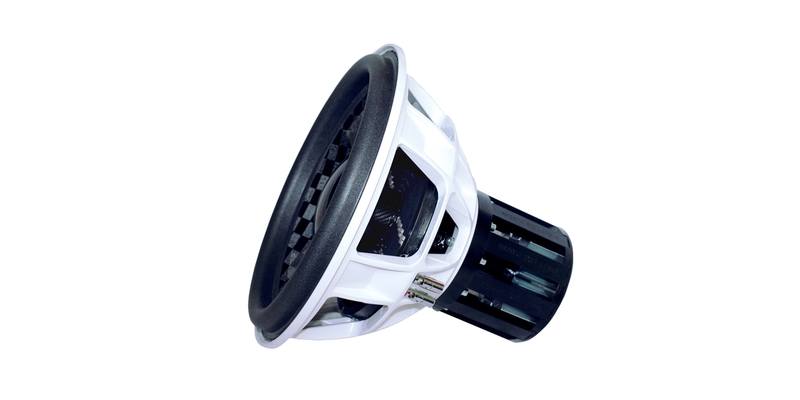 Voice Coil Diameter: 3" 3"
315 mm / 12.4" 341 mm / 13.42"